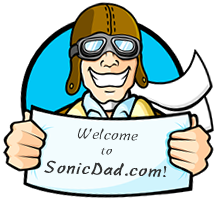 In a sense, SonicDad has existed since the first time a Father spent time with his kids working on some crazy project and formed that special bond that can only exist when you take the time to make the time and spend it together. It’s about turning off the TV and turning on the excitement, passion, and joy of exploration and curiosity. Above all we believe that #RelationshipsMatter. 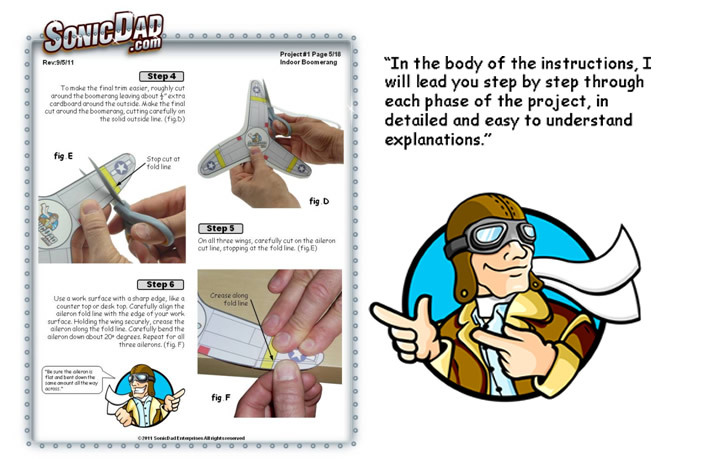 In an effort to support that mission, here at SonicDad we create building projects that encourage Science, Education, Technology, Math, and most of all, spending time together. In the process we’ll hopefully put some smiles on little faces and make some lasting memories. 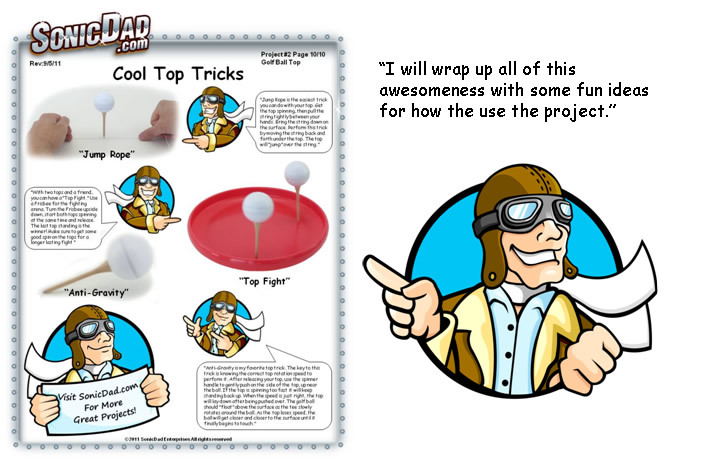 Over the years we've created an impressive collection of super cool projects. Most are 100% original, and others are popular favorites with a SonicDad twist. Members of SonicDad have full access to the detailed project instructions. 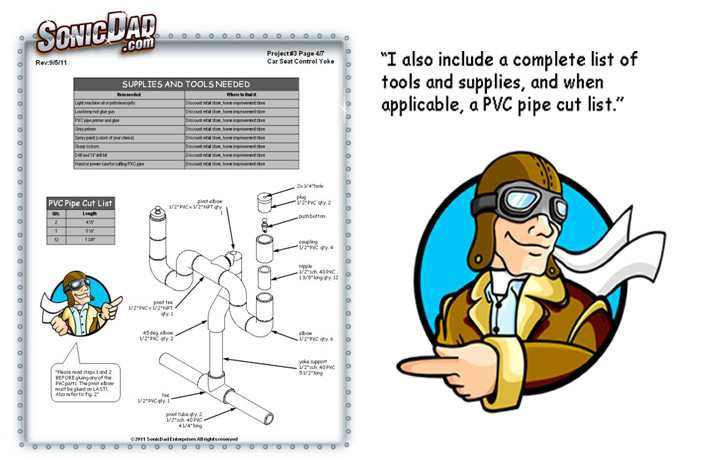 They can download the PDFs that contain all the steps, templates, materials lists, tool lists, and additional supplemental videos. Our project library is always growing. 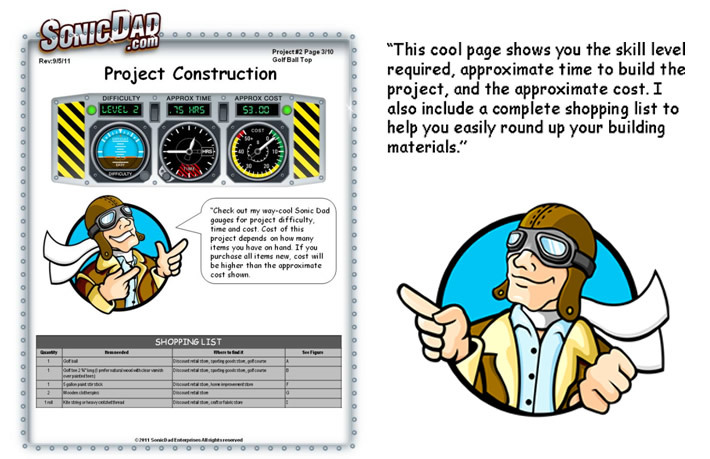 Right now we have 83 full-fledged projects that can be downloaded and built today! 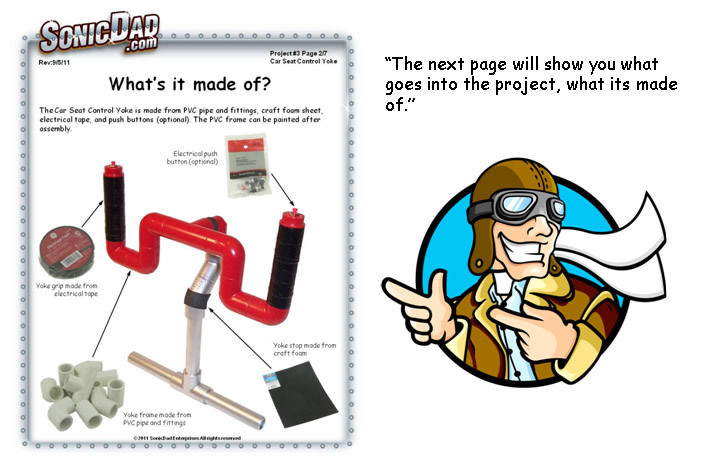 Now, let’s take a quick tour of some sample pages from actual projects. We are SO excited to share these cool projects with you - and even more exited for you to share them with the people in your life that matter. If you are a builder, this site is for you!